If it's playing on a screen (or even projected on the side of a building), we know at what time, each and every week. 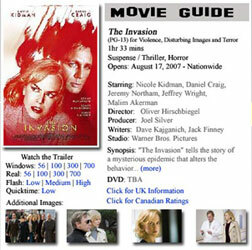 To complement our global showtimes data, we maintain an in-depth International MovieGuide which includes every film that has played, is playing, or soon will be playing in theatrical release. Generate revenue and create a more positive user-experience by offering the ability to purchase movie tickets via your online and/or mobile channels. We work closely with ticketing providers to provide you access to robust ticketing inventory. Our sources go straight to the red carpet so we are able to offer the best video footage and interviews with the biggest stars. We also provide up-close-and-personal, sit-down celebrity interviews. 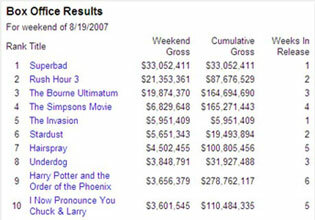 Stats are available for the highest weekly grossing films, as well as a list of the all-time biggest box office winners. We offer a detailed critique of all major releases, breaking down every aspect of the film, from story to acting to direction. Our reporters cover all angles of Hollywood news, including interviews with Academy Award® nominees, highlights from the Golden Globes®, Q & A’s with the stars, gossip behind reality television and weekly columns from respected reporters. To complement our showtimes data we maintain an in-depth Movie Guide, which includes every film that has played, is playing or will soon be playing in theatrical release. 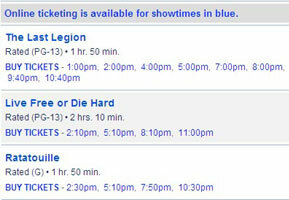 Generate revenue and create a more positive user-experience by offering the ability to purchase movie tickets via your online and/or mobile channels via MovieTickets.com. 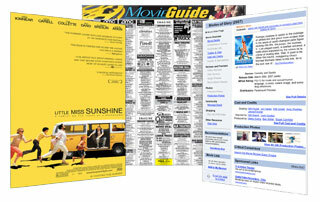 We work closely with MovieTickets.com to provide access to more than 95 top exhibitors, representing more than 11,000 screens in the United States, Canada, the United Kingdom, including Ireland.